The Anfield Road end has a lot in common with the Wirral. They both have great views. One gazes at the finest waterfront in the world, the other at the greatest football terrace in all of football. It was from a seat in the Anfield Road end that I was privileged to witness the goal Steven Gerrard regarded as his best ever. What a hit son! It was of course his 84th minute strike against Olympiakos that set us on our way to Istanbul. Another big goal on a big night, and just when Liverpool needed it. He lifted us time and time again. So if there was going to be any player to spark that comeback in the Ataturk Stadium it was absolutely going to be Steven Gerrard. In years to come it will be a source of disappointment to Gerrard that he never lifted the Premier League title. All of us wanted to see him do it last year. Indeed it seemed all of football wanted him to, such is the regard he is held in. He is simply the greatest player to have not won that medal, and for a spell of 5 years he would have walked into any team in world football. Even now there will be a queue of clubs vying for his signature. Gerrard could have left in 2005 and many times since. He undoubtedly would have won titles wherever he played, but he chose to stay. Winning medals for Liverpool meant more than winning them anywhere else. It was Chelsea and Mourinho who came closest to taking him away. Who can forget that morning when Rick Parry, confronted by a Sky reporter, broke the news “Steven’s decided to stay”. Jamie Carragher later said he spat his cornflakes out as he watched the story unfold at breakfast. Most of us greeted the news like we’d just won a cup. It was actually far more important than that. Steven Gerrard was Liverpool Football Club. He was a Liddell or a Dalglish, because he embodied the spirit and ethos of the institution. They named the team Liddellpool after Billy Liddell, and for Steven Gerrard they renamed an FA cup final. As a childhood Kenny Dalglish disciple, I have no qualms in declaring now that Stevie is the greatest player to pull on the red shirt. Our legendary number seven never had to suffer being surrounded by mediocrity. 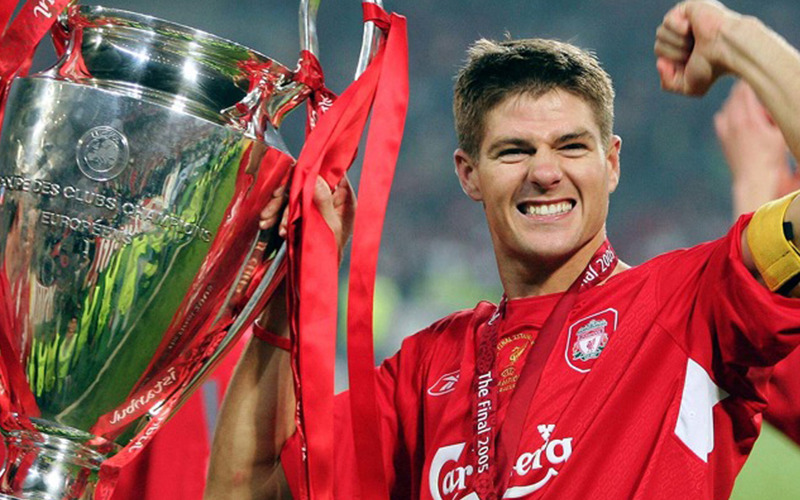 Gerrard did for many a season, yet he still managed to elevate the club beyond its station. He won every cup it was possible for him to win, and scored in every cup final. In all he amassed ten major honours, including 2 FA cups, 3 League Cups, the Champions League and the UEFA Cup. He was also a three times runner up in the Premier League. He may yet add more medals to that haul. I hope he does. To us he will always be our captain, a Scouser and a red. He has achieved what we all dream of, and done it with distinction. His name will echo through history. He is a true legend of Liverpool Football Club. This may be the end of an era, but I am priveledged that I was alive when Steven Gerrard played for Liverpool. Good Luck Stevie You’ll Never Walk Alone.